When I started out as a freelancer in 2013 I was really looking forward to working from home. In my previous job, I'd attended a lot of corporate networking events that really weren't my thing, so I had planned to stay in my office, hiding behind my computer. However, after a while, I realised that I really missed the office atmosphere. Specifically, being able to bounce ideas off other people, share my challenges and successes, and just talk to other human beings during the working day. I started working from coffee shops, in the hope that I could meet other freelancers, but everyone was focused on their work and it was hard to start a conversation. This gave me the idea of starting a popup event where freelancers working alongside each other were actively encouraged to talk to each other. Happily, around the same time, I came across Ziferblat in Manchester. Once described as "a cross between Google's offices and your nan's living room", it was the perfect space to start the coworking sessions. Initially called Freelance Friday, the sessions started in early 2015 and ran weekly. After a slow start (me sitting and "coworking" by myself) word got out and people started coming along. We get a mixture of regular attendees who come most weeks, people who drop in every month or two, and people who are just visiting the city and want to meet other freelancers. We also have a social on the last Friday of each month in Manchester. In Spring 2017, we rebranded to Freelance Folk and launched two new coworking sessions; one in Sheffield and the other at Media City in Salford. 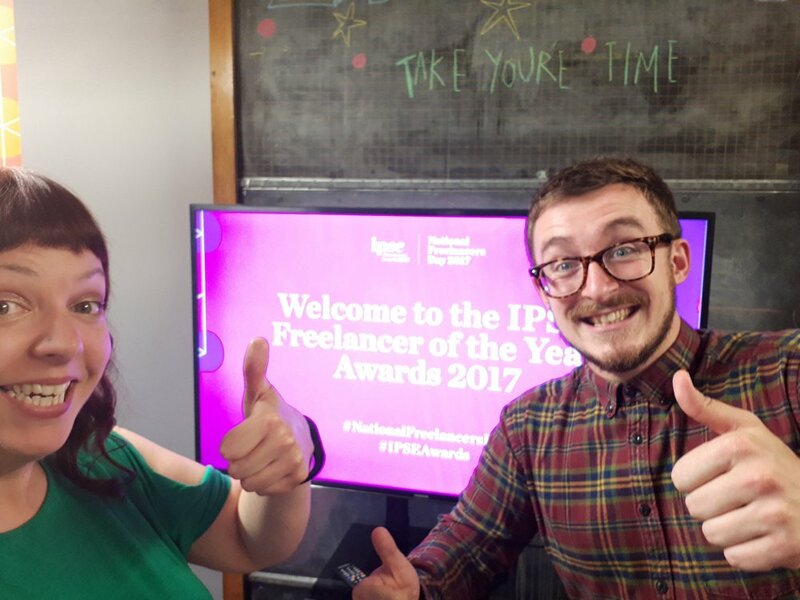 In June 2017, my work with Freelance Folk was recognised as I was awarded Freelance Ambassador of the Year by IPSE, to reflect my efforts to support the self-employed community. Since then, we have been featured in national and regional publications including The Guardian (#lifegoals), The FT, Manchester Evening News and Business Growth Hub. In late 2017, we are planning to launch the first Freelance Folk group run by City Champion Tom Mason, in Bristol.